I love mid-century inspired design, and this chair is gorgeous! Featured by @13andmarket on instagram, I am loving the design. With the tufted back and elevated arms, I can’t get enough. So pretty. 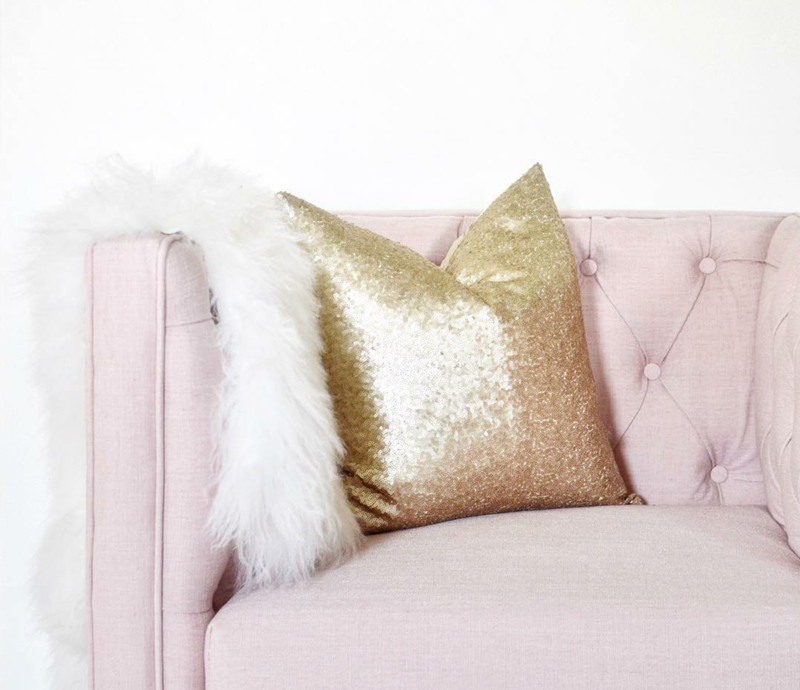 But you can’t ignored that sequin pillow in rose gold tones it’s the perfect modern splash! I could see this in my master bedroom sitting room, or maybe a little reading nook. What do you think? Where would you feature a piece like this? Next Entry A new adventure in food!